Travel Hacking & Hotel Elite Status – How I Easily Obtained Status Across 6 Brands! One of the greatest things about this hobby is not only learning how to travel for “free” (cheap), but also enjoying experiences and benefits that are normally reserved for people who spend a ton of money each year. Almost every major travel brand has a loyalty program with elite tiers. These elite levels are designed to award high value customers. Through credit card sign-ups, status matches and challenges, it is possible to gain elite status with a number of hotel and airline programs. Since I think it can be valuable to see someone else’s strategy, I thought it would be nice to list out all of the elite status I hold across programs and where I got that status from. Some things are quite obvious, but others will probably be interesting to you. Today I’ll talk about hotel elite status and next week I’ll dive into airline & car rental status. I have the lowly Hilton Silver status from one of my no annual fee HHonors Visa Signature cards. I received Gold status almost 3 years ago for filling out a form as part of a promotion and was just finally downgraded. My wife enjoys Gold status from the HHonors Reserve card, so we utilize that if staying in a Hilton property. In the past our gold status has scored us some nice upgrades. My favorite came at the Hilton in Prague where we were upgraded to the Club Floor which had a nice lounge. The lounge even served a hot breakfast every morning which is quite rare! Both my wife and I have IHG Platinum status gained from holding the IHG Rewards Mastercard. This card has a $49 annual fee, but we each get a free night at any IHG hotel worldwide. Last year we used one free night at the Intercontinental Times Square (my review) and another at the Intercontinental Hong Kong. Easily $1,000 worth of rooms for $98 plus we received upgrades, free drinks and more as Platinums. 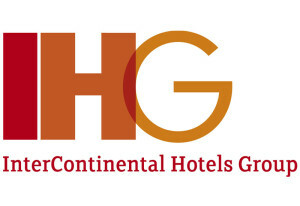 We haven’t used our IHG status as much since I became a Hyatt Diamond (see below), but during our 3 month backpacking trip in Europe, we stayed in their hotels often. Perhaps the best deal we received during that trip was a business class upgrade at the Crowne Plaza Bucharest which included free breakfast for all 3 of us. It was great since we were staying for 5,000 points per night on a Point Breaks rate! I received SPG Gold status from my $0 first year Ameriprise Amex Platinum card last year. While I won’t be continuing with that card most likely, I will continue to receive this status as a benefit of my American Express Business Platinum that I picked up during the 150K bonus deal. SPG Gold status isn’t too impressive since it really only gets you very modest upgrades (higher floors, better views). With that said, you do get free premium internet and a welcome gift, so it does carry some weight. I did also receive a club room last weekend at the Sheraton Ann Arbor. I’m not sure if I was booked into that room because of a mixup or upgraded because of my gold status, but it happened either way! Both my wife and I status matched to Club Carlson Gold a few years ago. We asked them to match our IHG Platinum status and they did without any questions. Since then we both became holders of their credit card which also extended the status. It isn’t worth much, but modest upgrades are alright and we have even received free breakfast a time or two. I have Mlife Platinum status which was gained through a match of my Hyatt Diamond status. While they really favor people who gamble a lot no matter the tier (I don’t gamble) I still have received modest room upgrades at their properties. Platinum status also comes with the ability to skip lines at some restaurants and to go directly to the front of the taxi and valet lines! This is my crown jewel of hotel elite status. I obtained Hyatt Diamond status through a challenge last year where I stayed 12 nights within 90 days. That challenge is sort of still around, although you no longer get the status up front. To keep Hyatt Diamond status I have to complete a total of 25 stays over the course of this year. After this weekend I will be at 10, with a couple of more stays scheduled. I will probably spend $40k on the Hyatt Visa card (not the best deal) to earn 5 more stay credits. In total I will re-qualify, but it will be tough and involve a lot of one night stays. Using a suite upgrade and enjoying the spectacular views of the Andes Mountains from the Grand Club at the Grand Hyatt Santiago. The food was delicious too! Being upgraded to a mini-suite overlooking the tarmac at the Grand Hyatt DFW. Experiencing service taken to another level at the Grand Hyatt Macau, which has the nicest lounge of any Hyatt I have ever seen. Being blown away by the Grand Hyatt Kauai. We were upgraded to an ocean view room, given things like a free cabana rental and had access to the Grand Club which had an amazing spread. Grand Hyatt Kauai. Diamond status was so worth it here! So Hyatt Diamond status does take work and I acknowledge that. I also spend some money on obtaining it, but that is offset by the value I receive from upgrades and lounge access/breakfast. I also heavily use points + cash and discounted Hyatt gift cards to make things cheaper. But what about the other statuses? I think many people have HHonors Gold status from either an Amex HHonors Surpass or Citi HHonors Reserve credit card. (You can even get top tier HHonors Diamond for $40K in spend.) That not only gets you free breakfast, but it often gets you upgraded to a club level room. At the very least, you will receive modest upgrades and even the occasional surprise as a lower tier elite. It still blows my mind that I hold elite status with five different hotel brands including top tier status with Hyatt. On the other hand, it is all just part of playing the game. If we are going to travel for “free” (cheap), we might as well travel in style. I have SPG Gold thru AMEX Platinum sign up, when I try to match with Hilton’s Gold, they said I need to show them hotel stay activity instead just Gold status. Anyway to “game” the system? Can I show them fake activity? I can’t find anything online. You could try. You do risk having your account shutdown if they suspect fraud. May not be worth it. By the way I have had success in the past getting matched by showing only 1 stay. You could also get free elite status at Best Western by having elite status with any other hotel program. They will match equivalent status based on the number of nights stay requirement. I showed them my Hilton Gold which has a 40 night stay requirement and I got their highest Diamond Elite status which has only a 30 night stay requirement. As of this writing, there’s no expiration date on the matched elite status. I have no immediate plans to use but just in case…..
Hey why not? Thanks for sharing! It is not a hobby, it is a game and the sooner you come clean the better for all concerned. Come clean about what? I would say the word “game” is as subjective or more subjective than the word “hobby”. Either way you can use whatever word you want, but what do I need to come clean about? This post is about my personal elite status and how I obtained it. It is all factual. Also, please stop commenting under different names. It can be confusing for others. Thanks! You are aiding and abetting FRAUD with that response. All too many “Hobbyists” have taken the easy road to status etc., and I find it beneath you to condone such activities, but there you did in black and white. Of course, the appropriate thing would have been to say you should not attempt this as it is unethical and you could get your account shut down while observing that you also have gotten LEGITIMATELY status-matched with just one stay. You have taken and unethical route and all too many of your readers have done the same. I have no problem with you racking up miles, points and status within the outlines of the programs and how they programs presently read — heck, you have achieved same by staying on the right side of the ethical divide. I appreciate your posts, etc. and the deals you have uncovered/publicize, but you need not adopt the dubious ethics of some of your readers, that’s all. Robert F — I could give a Flyin’ F what you think of me. Of course, your use of the term troll is subjective, so I’ll use one to quantify you = PIG. Oswald, another internet troll. Shawn, I would not pay attention to him (or her). My husband and I just got the new IHG top tier status “Spire” after we each received 80,000 points on our new CCs. Does this status enable us to gain elite status at any other chain? We don’t have many stays during the year–typically use points on most of our stays. Thanks. Check the StatusMatcher website, but there are a few other chains that will most likely match your status. There may not be data points for Spire, but look for matches from IHG Platinum to another brand since you should qualify for that as well. For matching they often want to see actual stays, so be aware of that. I know Kimpton is a very popular match for a lot of people. I have never done it since my focus is on Hyatt and I don’t see me staying at many Kimpton hotels. If I had an upcoming stay I would definitely match to them. That is if their loyalty program remains in tact with their new corporate overlords. So, after having just completed our last night for the Hyatt Diamond Challenge (at an amazing per-night rate) we are already looking forward to renewing that status with stays in 2016. Shawn, do you think for a bulk of it…a strategy of vacationing in a single city with multiple Hyatt properties and moving from one another over the course of time (same city, 3 different hotels, 7 nights, 7 stays) as opposed to fighting the 50-night qualification is a better strategy? After all, once you have checked-in, then that stay is only good for one stay. We are always looking for strategies to keep our qualification costs/night at a minimum. What is your 2015 and 2016 strategy? I’m a wanderer so I don’t mind switching hotels at all. If I’m on a true vacation, then I’ll probably stay put, but on more active trips then I think switching is a very good strategy. For example, I was just in Chicago and spent one night at each Hyatt by O’Hare. I did the same thing when I was in Charlotte speaking at a conference earlier this year. I stayed one night in the city and one night out by the airport. Tonight I am flying into Salt Lake City with some friends for the weekend. We are getting in late so are staying at the Hyatt Place by the airport. Tomorrow we are going to stay at the one in the city center. Two stays! 25 stays is a lot easier I think overall, especially since my strategy is to rack up stays at cheaper properties and use points at the more expensive ones. Nothing wrong with a mattress run if it works. When I’m with the family, that sort of thing won’t fly. Hilton Honors Gold has 25 stay or 40 night requirement so if you can make 25 different Hampton stays works, then go for it. Just always hear about people get hilton gold for totally free. But how? With companies and university promotion?Can you give me a direction to look at? I haven’t seen any promotions lately. That promotion I was referring to was back in 2012 I think. It is easy enough to get it with the Citi Reserve which has a nice bonus I think. And if you are balking at the annual fee, think of it this way. Hilton Tokyo Bay charges 4,000 Yen per person for their substantial breakfast buffet. You get two of these per day as your free gold member breakfast. You’ve pretty much covered it with a one night stay at any rate. Additionally, any Hilton HHonors member at any level gets to use the priority line at check-in and the breakfast restaurant here. Yes some companies will offer it for free elite status depending on the type of corporate travel contract they’ve stuck, so check with your company’s benefits and/or travel department. 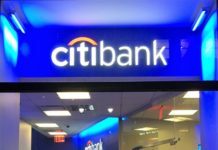 I took advantage of the Citi HHonors Reserve offering with the $100 rebate if staying at a HHonors property within 3 months. Found an Embassy Suites that I was able to price match to $99.00 via Hilton Best Rate Guarantee and after the stay I received the $50.00 AMEX gift card to boot. Put $102.00 on the card just to be safe and the $100.00 rebate credit appeared soon after the stay. As I have noted above, received the AMEX gift card, which I guess will have an activation fee — not familiar with gift cards as I don’t MS. but that is a personal decision. LOL.